As my devoted readers (a big hello to my mum) may have noticed, I haven’t participated in any of the Daring Bakers Challenges for ages. However, seeing as it is my fourth blogiversary, I figured I should give it a shot. 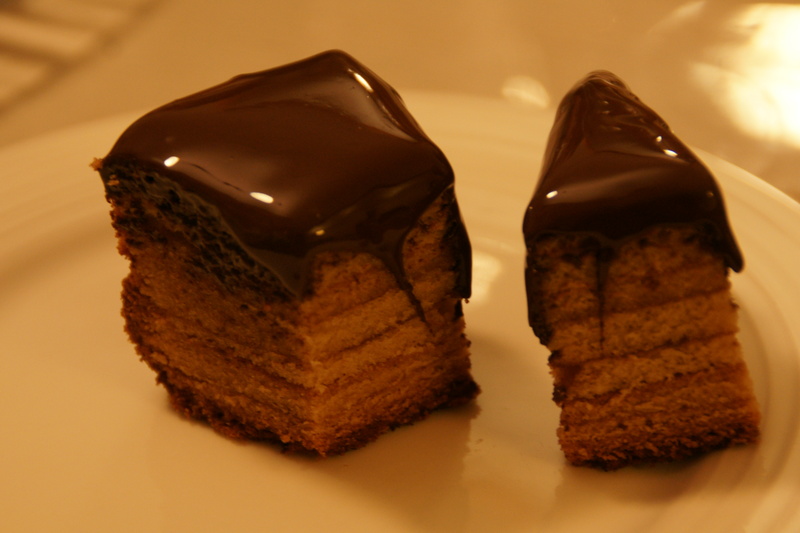 And I had never heard of, let alone made, a baumkuchen so it would be a learning experience. At the very least I would hopefully learn how to pronounce it correctly rather than mentally referring to it as a bum kitchen (I’m childish like that). 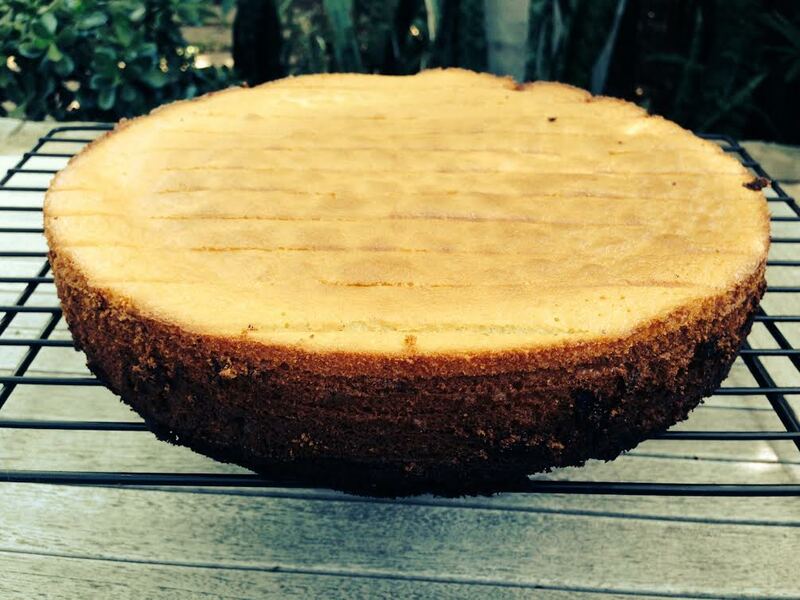 We were permitted to use any recipe we liked so, being lazy, I chose this Thermomix recipe. I made a few changes – substituting my home made vodka/vanilla bean infusion for the vanilla extract, Limoncello for the rum and tapioca flour (arrowroot) for the cornflour. These substitutions were made from necessity rather than any particular preference. 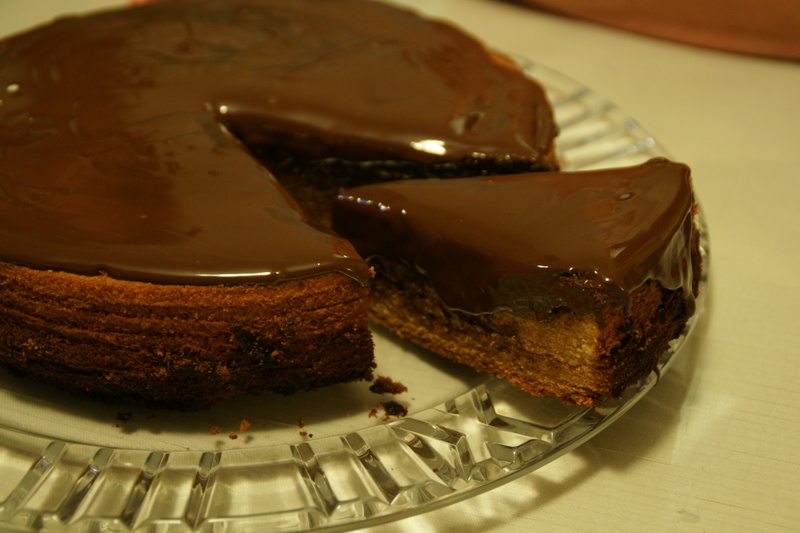 The recipe warned that the layering process was tedious and I certainly found that to be true. I started off making layers from 1/4 cup of batter before rapidly increasing to 1/2 cup. In between each layer I was essentially running between the backyard to hang out laundry and to check on the baby, who slept almost through the baking process. I got bored, to be honest, and it struck me later that there were things I probably should have been doing in that time. 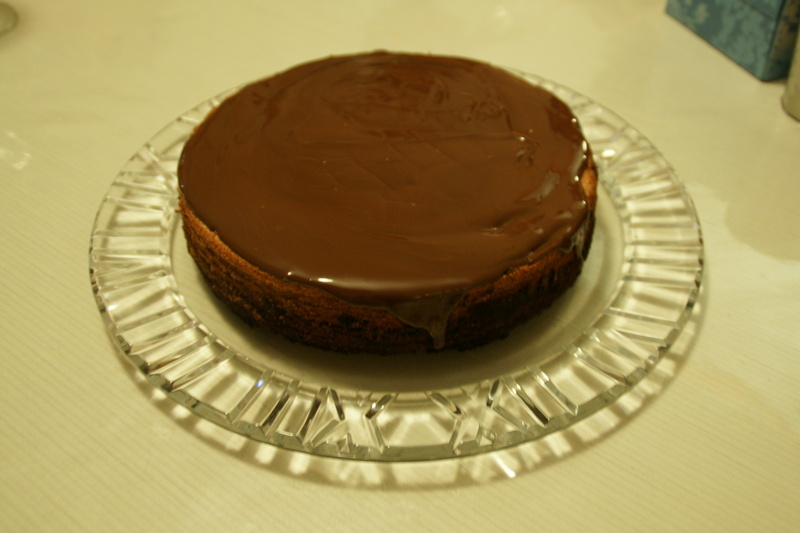 I had planned to make a ganache but I had one of those nights where everything was going wrong – the baby was hungry, the 5 year old was hungry, the rice was undercooked, the fish was overcooked, the ice cream wouldn’t churn, I put the dishwasher on a 2 hour cycle and didn’t have any clean plates for my guests etc. It wasn’t one of my smoother efforts. So I basically just bunged on a mess of melted chocolate (albeit good quality Lindt) and hoped for the best. By some miracle, the evening all came together and was completed by the cake, which became Mr R’s family birthday cake. The uneven layers of the cake which formed a cohesive whole were a metaphor for the evening, which was lovely – full of love, family and chocolate. So thank you, wonderful extended family and Francijn.